As the distinction between information and communication technology blurs and the pressure to cut costs increases, tele-conferencing has become more and more popular. Colleagues are able to participate without making any special preparations or adding any new pieces of technology to their desktop. However, this requires some procedural consideration to ensure that this form of communication has credibility, trust and effectiveness. Below are some suggested “guidelines for engagement” that could be employed above and beyond the requirements of a normal meeting. When checking with participants, specify the tele-conference time in each time zone; don’t forget to take into account Daylight Savings! 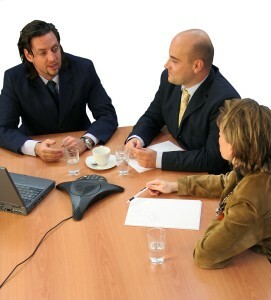 Clearly end the tele-conference by signing off and instructing participants to hang up. If necessary, consider recording your tele-conference so that you can prepare accurate minutes; but seek participants’ permission first; they may wish to withdraw! Consider other technological options including video-conferencing, blogging, chat-rooms, and the like.